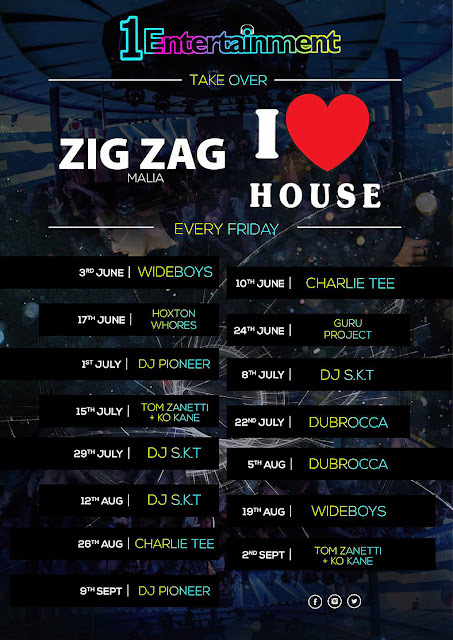 The 1 Entertainment Team are back in Malia. 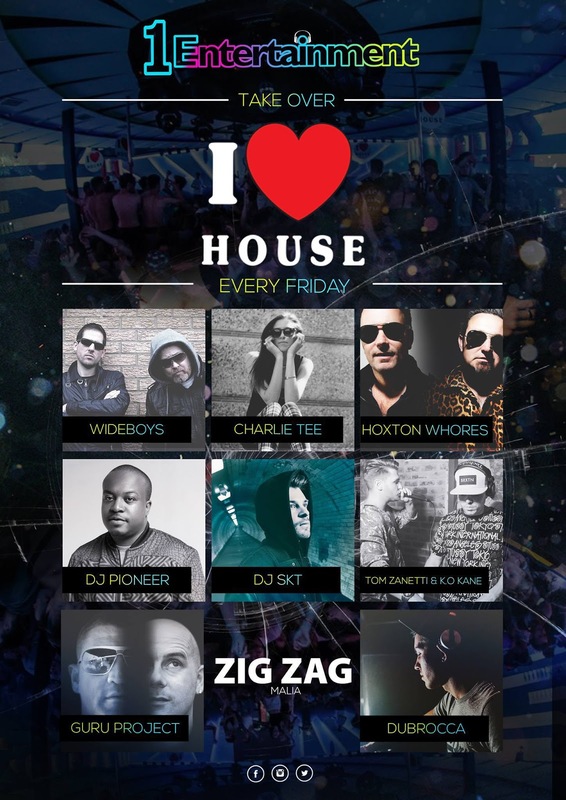 Special Guests each week include Charlie Tee, DJ Pioneer, DJ S.K.T, Dubrocca, Hoxton Whores, K.O Kane, The Guru Project, Tom Zanetti, Wideboys. 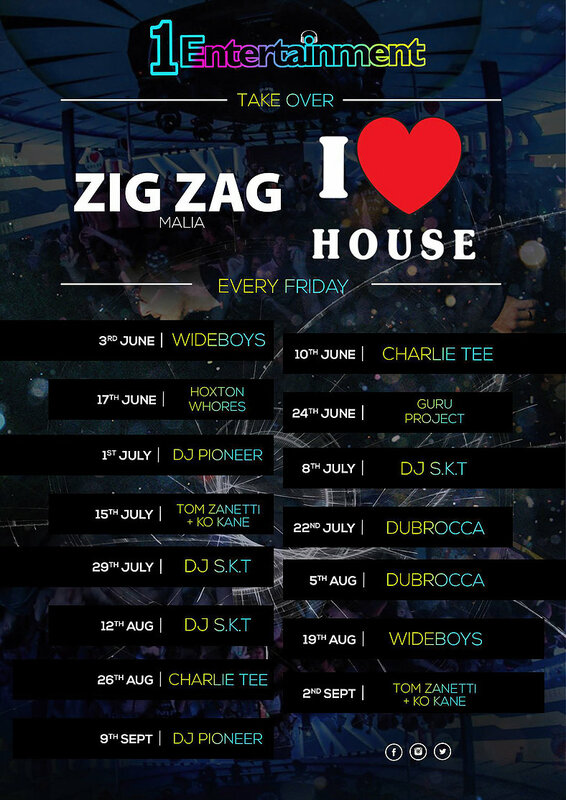 Zig Zag Club Malia every Friday night.